Don Williams, 67, is on the survivor side of a lung cancer battle, thanks to the expertise of his medical teams at Memorial Regional Cancer Center and SIU Medicine. Don had a history of chronic obstructive pulmonary disease (COPD), but his shortness of breath became progressively worse. His primary care physician sent him to a low-dose CT screening program for lung cancer at Memorial in spring 2017. The screening program determined he had stage 1 lung cancer, but fortunately, it hadn’t spread to other parts of his body. Don immediately met with SIU’s Stephen Hazelrigg, MD, who determined he was not a candidate for surgery or biopsy. Hazelrigg referred him to P.J. Nanavati, MD, radiation oncologist, who recommended stereotactic body radiation therapy. Don completed five targeted radiation therapy treatments to his left lung at Memorial Regional Cancer Center. Don is now retired after 20 years working as an auto mechanic at Firestone Tire in Springfield. He walks three times a week at the local YMCA and hopes to add biking to his exercise routine. His last checkup showed no cancer. 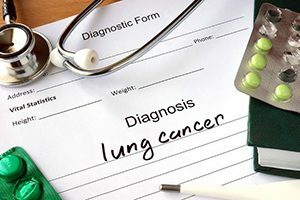 Memorial Medical Center will host a free community event to inform and educate people about lung cancer on Wednesday, Dec. 5 at the Memorial Center for Learning and Innovation. “Shine a Light on Lung Cancer” begins at 6 p.m. in the Curtis Theatre Classroom (2A) on the MCLI’s second floor. The two-hour program will feature Traves Crabtree, MD, and Stephen Hazelrigg, MD, both with SIU Medicine, and P.J. Nanavati, MD, with University Radiologists. A custom-made lung model with camera will be set up for participants to visualize what takes place during lung cancer surgery. The program will also honor people living with lung cancer and those who have been lost to the disease. To register, visit MemorialMedical.com/Events or call 217-788-3333.